It's no secret that Frozen's been doing pretty well for itself since its premiere a few months ago. In fact, it's been doing bonkers well (I think that's the scientific term), and undoubtedly making some execs at Disney very, very pleased with themselves. Which is why it's no surprise, given Disney's prowess at marketing and merchandising every little bit of every little thing that they do, to hear that that Frozen Broadway musical is really, super-officially, happening. This is something Bustle's own Rachel Simon has written about before, but that was a whole three days ago, when it was still but a rumor glimmering in the studio's eye. Now, though, it's officially official. 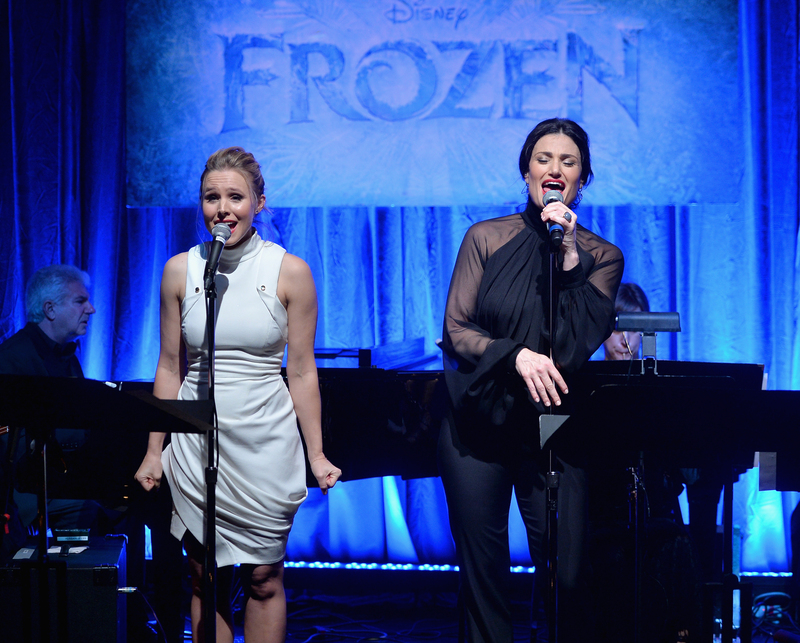 The most tragic part of this whole endeavor is that it's unlikely that Idina Menzel will be taking to the stage as Elsa to belt out "Let It Go" eight times a week — her new Broadway show If/Then hasn't even premiered yet, so it's likely she'll be doing that for the foreseeable future, and they might also skew younger in the casting of the two sisters, given how young they are in the film. As for Kristen Bell taking on Anna onstage, we would also love to see that happen, but she also seems to be wrapped up in a bunch of projects (lady's doing well for herself! ), not to mention she and husband Dax Shepard seem to be pretty firmly LA-based. We've still got a long long way to go before this is actually a thing that is actually on a stage that we can actually see, but we can still hold out hope that Jonathan Groff will reprise his role as Christoph, right? Bueller?